Your Blue Ribbon event deserves a second look! Draw more attention with a splendid Blue Ribbon Flier, part of our matching Blue Ribbon Event Kit. With a blue ribbon and fading blue background, this print publicity helps your cause gets noticed. Customise it with fifteen lines of your own text. 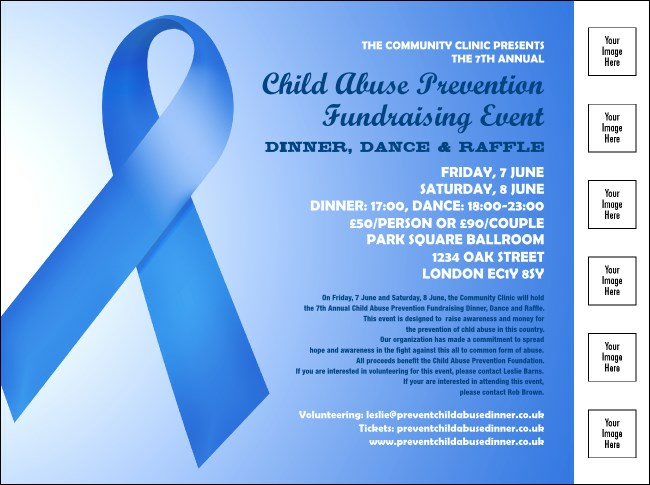 Nonprofit organisations benefit with proper publicity from UK Ticket Printing.